Yes that's me. 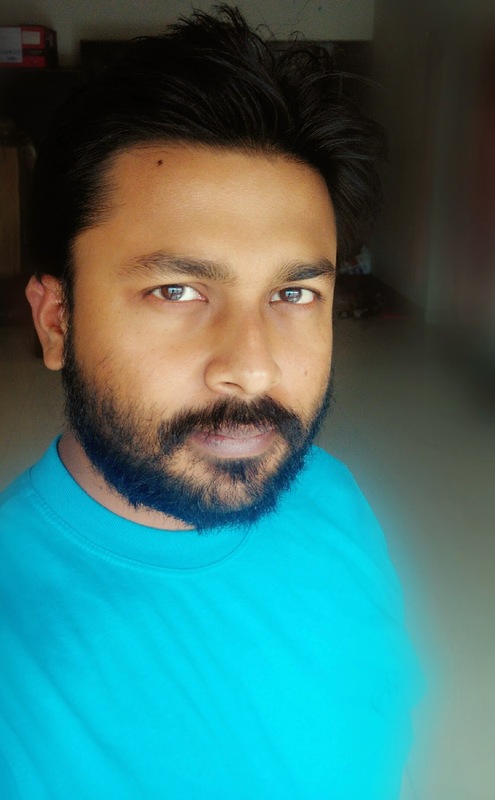 That's me with a month full of beard. I had always been meaning to participate in the No Shave November. 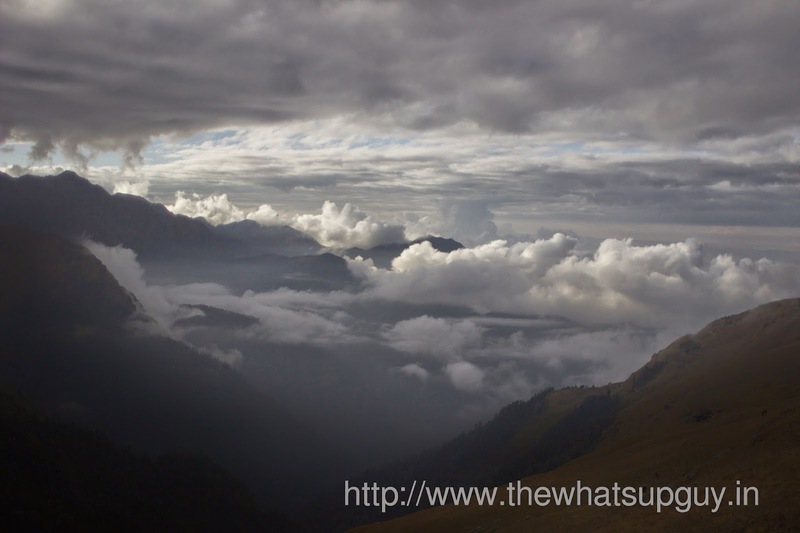 Roopkund Trek is one of the top 5 Treks in India. 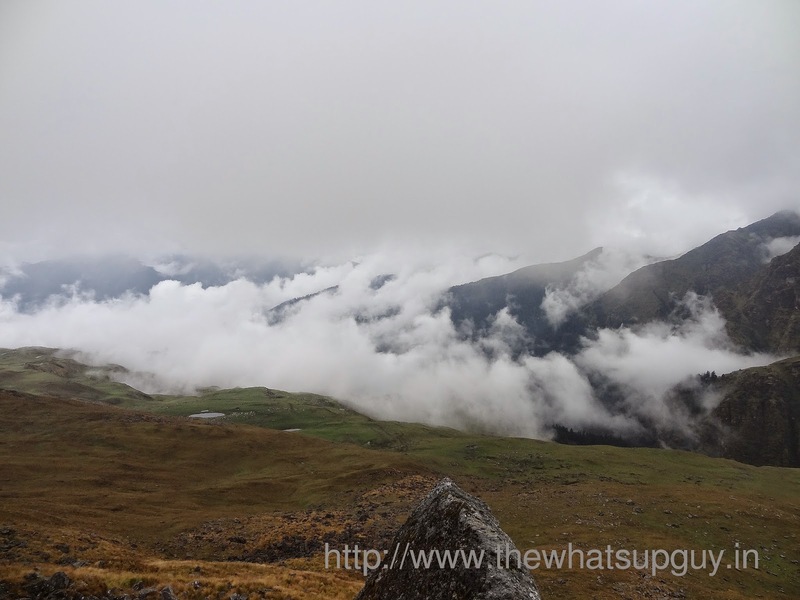 We trekked 48 kms in 6 days and reached a maximum height of 15,750 feet (4,800 mts). We saw snow fall and hails, walked above and through clouds, saw huge green meadows, climbed slippery and steep slopes and finally saw skeletons that are more than 1000 years old. This has been one of the best and most difficult treks I have ever done. 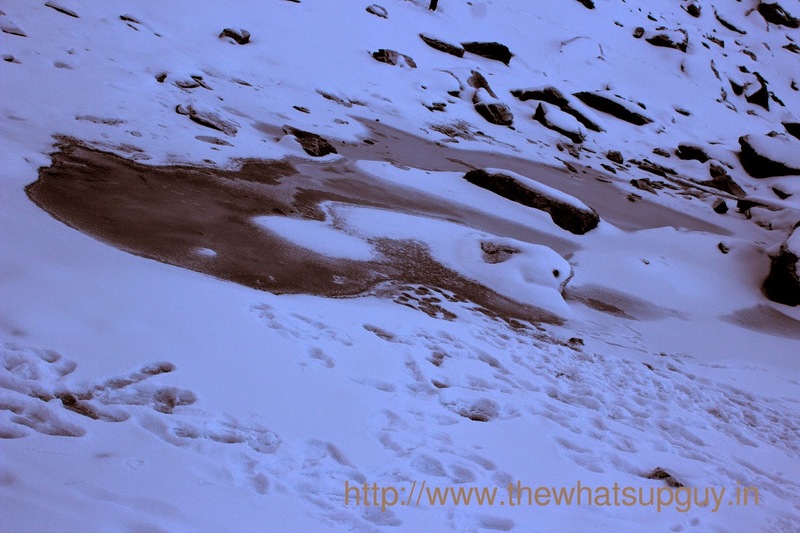 This is probably the biggest problem we had during our week long hike to the amazing Roopkund. Except for the last camp at Bhagwabasa we had pretty good toilets in all the camps. But the problem wasn't that, it was the cold. Today was the summit day. The day we had been waiting for. 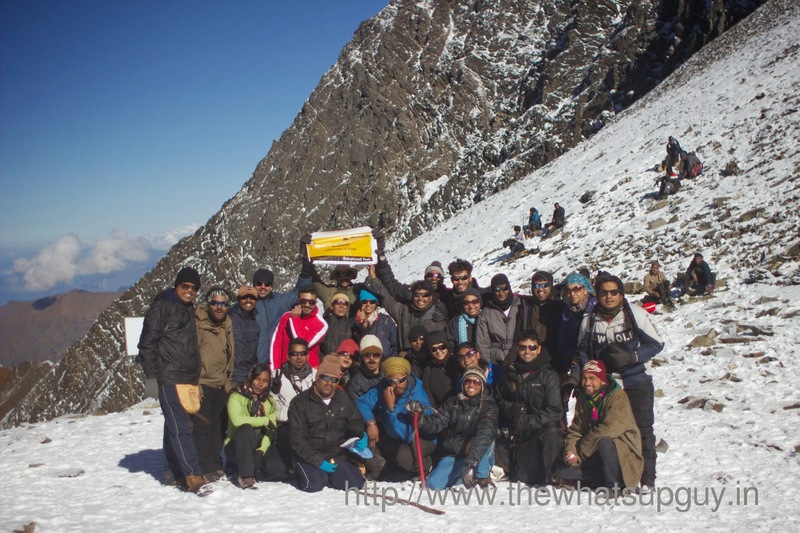 After a relatively easy trek in the last two days, we were all ready to reach Roopkund. After a rather easy trek to Pathar Nachauni, we had another easy trek to Bhagawabasa. 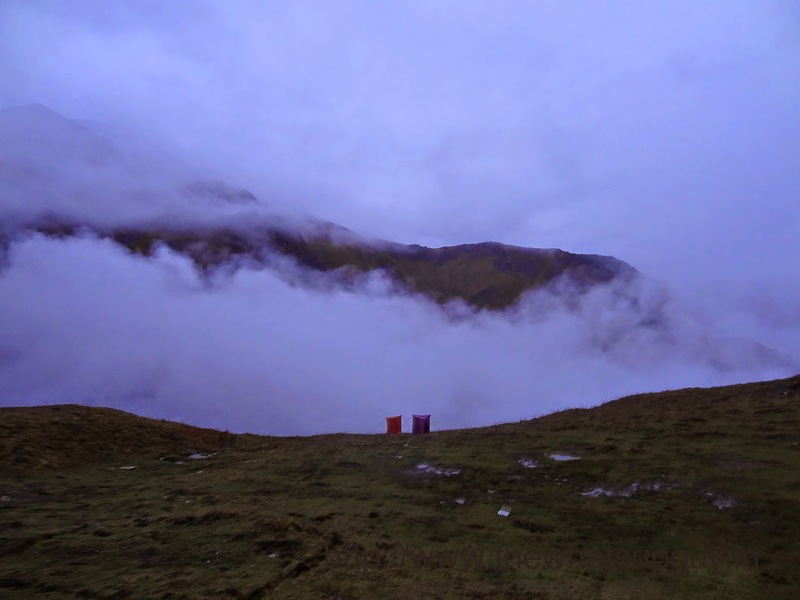 This trek was so easy and the next camp so mesmerizing that the highlight of this day was the Bhagwabasa camp rather than the trek. The City of Kodaikanal or Kodai is one of the best hill stations in India. The name means "Gift of the Forest" in Tamil and is also known as the Princess of Hill Stations. Kodaikanal was mostly a jungle occupied by the Palaiyar tribal people before the British decided to develop it as a get away from the high temperatures of the plains. This happened long back in the 1800s. At about 7,200 feet above sea level kodai has a cool climate throughout the year and is a very popular destination during the summers. Bryant Park was built by a forest officer H.D.Bryant from madurai in 1908. It is a mini botanical garden. While it is spread across 20 acres and has flower shows in the summer, when we went it was nothing more than a big park with disproportionate entry fees. The only face savers were a couple of good photo locations. Otherwise the park had nothing to offer at all. So I would suggest to visit the Park only if you are sure that the flowers are blooming or a flower show is going on. There was only one tree that surprised me which was the Rose Tree. I haven't seen a rose tree yet, I didn't even know they existed. The Greenhouse was a bigger disappointment. Its never a good experience inside the hot humid glass structure, and one can only bear it to see something unusual. But the green house here didn't have anything worth a second look. To top it, photography wasn't allowed in the Green House. I will try and plan a trip during the flower show and visit Bryant Park, otherwise I am not going here again. Reviewed by Sougata Khan on May 31 . Gregor The Overlander By Suzanne Collins is the first book of the Underland Chronicles. The other books in the series are Gregor and the Prophecy of Bane, Gregor and the Curse of the Warmbloods, Gregor and the Marks of Secret, Gregor and the Marks of Secret. Gregor goes down an air chute behind his sister Boots and reaches the Under land which is a mysterious place. He soon realizes that the under land has many creatures that could kill him and even the journey itself would have killed him, but he was lucky. And then he starts a quest with the people of the under land that changes his life. I wouldn't usually touch a book that is meant for teens but after reading Hunger Games it seemed like a safe bet. This is certainly not the genre I would ideally read and it seemed unusual that I liked the book almost till the end, but that was only because the book doesn't have a complicated story line. It's more like a fairy tale. But the story is quite fascinating for most of it. I think this concept can be expanded to novels for adults and would do pretty well. Something like the journey to the centre of the earth. Gregor - 11 year old boy from New York. He certainly shows bravery and resourcefulness throughout the book. Boots - Gregors 2 year old sister. She obviously doesn't do anything with specific intentions. But her childish plays make her a favourite of almost everyone. Luxa - Queen of the Under land. She is quite a warrior but finally her emotions betray her. Vikus - The Grandfather of Luxa. He takes very calculated steps and is extremely wise. The first thing Gregor encounters are giant cockroaches and they talked back to him and called him over lander. Regalia is a beautiful city with high buildings and torches to light the paths. Gregor clearly should have first enquired about the dangers that are there in the under land before trying to escape. It's clear that rats want to eat humans. Gregor was quite lucky that the under landers managed to reach in time. The rats hatred for the humans seems rather puzzling. The prophecy seems to be getting fulfilled bit by bit but it is filled with deaths and an unsure ending. The "questers" as Gregor put it keep. reducing in number as they continue. They find Gregors dad rather easily but the condition in which he is really bad What a surprise that Henry is a spy. The entire prophecy was based on Gregor trying to sacrifice his life and Ares saved him from the fall. When it seemed like though the prophecy was fulfilled they still might die as they did not know which direction to fly to. Gregors dad and boots fever vanished and his dad showed them the way by creating a compass using a needle. The vote to banish Ares was pretty dumb and Gregor paired with Ares to prove his point but im not sure how that will turn out when he goes back. The trip back is rather simple and short. Ends like a fairy tale. Reviewed by Sougata Khan on June 27 . Blossom Book House or simply Blossoms is one of the most well known places in Bangalore. It features in most of the must visit lists for Bangalore. And it certainly deserves that place. In essence its four floors filled with books of at least a dozen categories. It is located on church street and is quite easy to find. The place is literally over flowing with books and its not uncommon to find heaps of books kept in the alley simply because the shelves are full. The walls are usually filled with posters of plays and events and in one of the places clippings of old newspapers. The range of books available here is unbelievable. It was quite nostalgic to see Enid Blyton books that I had read when I was in school, and repulsive to see books like "Let Us C". There were comics too from Tinkle to Archies. But what surprised me most was the Manga Books, that's something I did not know was available in Bangalore anywhere! Browsing through books at a book store is in my opinion not the best way to find books. I believe in research on the internet and going to a store to buy the book. But stumbling upon a good book in a store or buying a book as per the book stores suggestion is something I do not mind once in a while. I found copies of the Best Seller - The Fault In Our Stars, the movie of which is releasing soon in India. I saw the book Midnight Boy and the cover appealed to me. I like books that are mysterious and evil. Muhahahaha. However I couldn't be sure if it was good but after a bit of research it turns out that it has got pretty good ratings on Goodreads.com. I guess I'll have to get it soon. Reviewed by Sougata Khan on June 21 . Koshy's has a menu that is extensive and historically was much larger. They have continental, North Indian, South Indian, Chinese and beverages. Despite having such an extensive menu most people stick to continental and South Indian Items. The Restaurant is located on St. Marks Road, very close to Hard Rock Cafe. This place has a historical significance to Bangalore. Quite a few well known personalities like Jawaharlal Nehru, Nikita Khrushchev, Queen Elizabeth II have dined here. There is no parking available near the restaurant. Depending on the time you go, be prepared to hunt for a spot. As the non AC section is as such non-AC it would be prudent to avoid it during summer afternoons. We ordered Smiles after reading reviews, Cold Coffee, Iced Tea, Spanish Omelette and Ham Sandwich. Ended it with Caramel Custard and Ice Cream. The food in general was good but does not quite meet the hype that surrounds this place. The Smiles that have such good reviews are nothing but McCain Smiles. The Cold Coffee is literally Normal Coffee that has been chilled. The Iced Tea was very very strong in both Tea and Lemon, something I personally like but others may not have the same tastes. The Spanish Omelette is a safe bet and was pretty good. The Ham Sandwich was simple and good. The Custard and Ice Cream were good too. The Ambiance is probably the only reason anyone might want to go here. The place has a very vintage décor and looks like a place forgotten by time. The restaurant is very old and has maintained the same feeling till date. While we were lucky with the waiter we got, other reviews usually say they aren't good. While all the waiters were extremely busy and it was quite difficult to get their attention, our waiter was always polite to us in whatever little attention he could give us. This must be kept in mind while visiting the place. Do not have too much expectations even in odd hours. The price simply did not justify the food. But then I guess we were paying for the décor and the history of the place. Reviewed by Sougata Khan on June 20 .